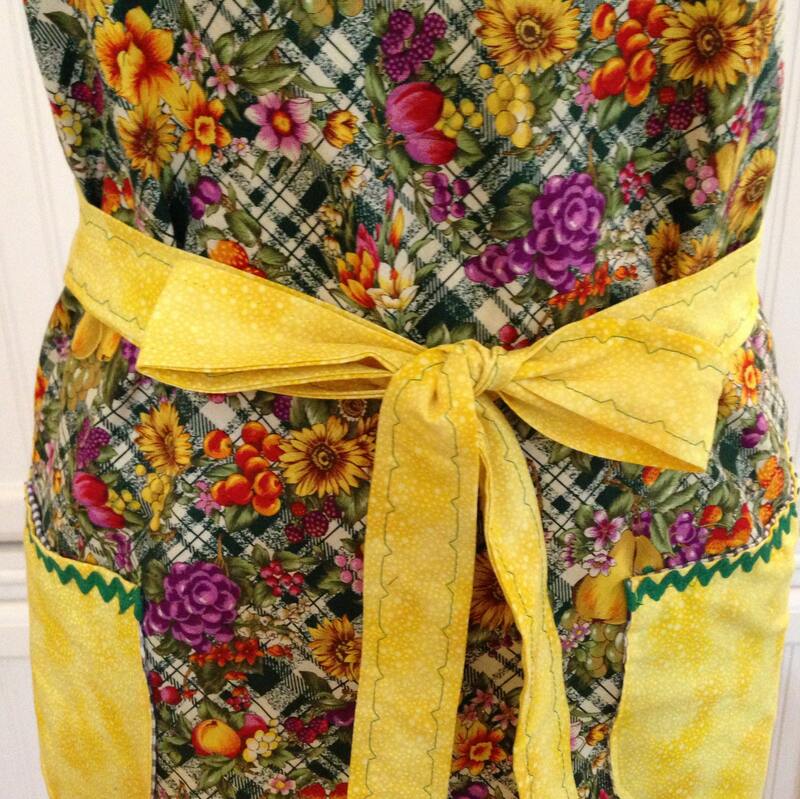 This vintage style apron is made using a very vintage pattern called the "miracle apron." 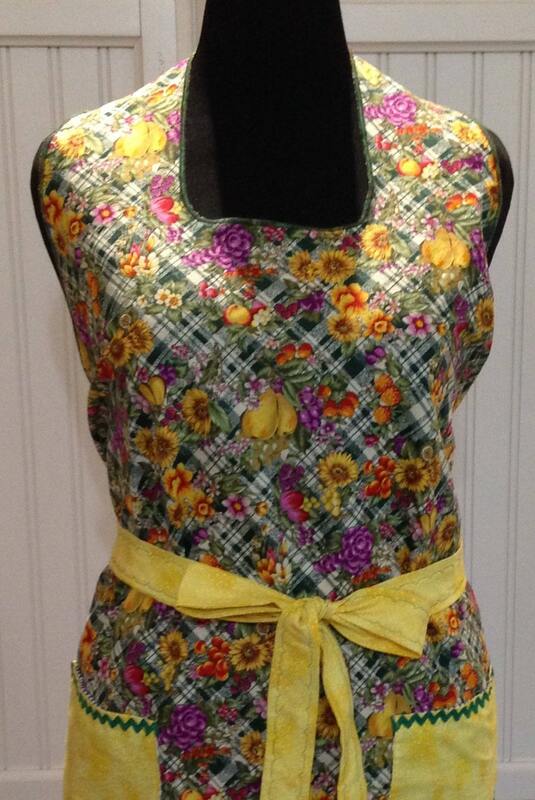 It has a bib style square neckline meaning there are no neck ties it just slips easily over your head. 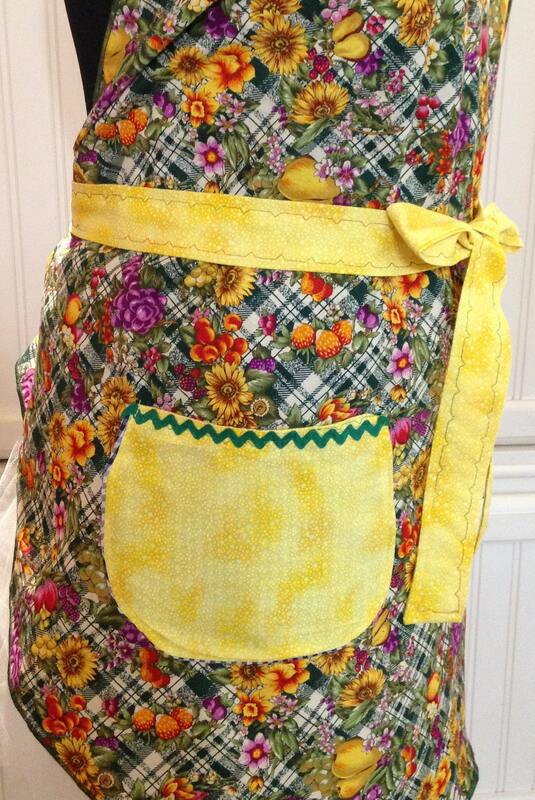 The fabric is a beautiful cotton with yellow sunflowers, other flowers, and fruit on a green thatched background giving it a very vintage look and feel. The edges are serged and stitched with a green serged trim. 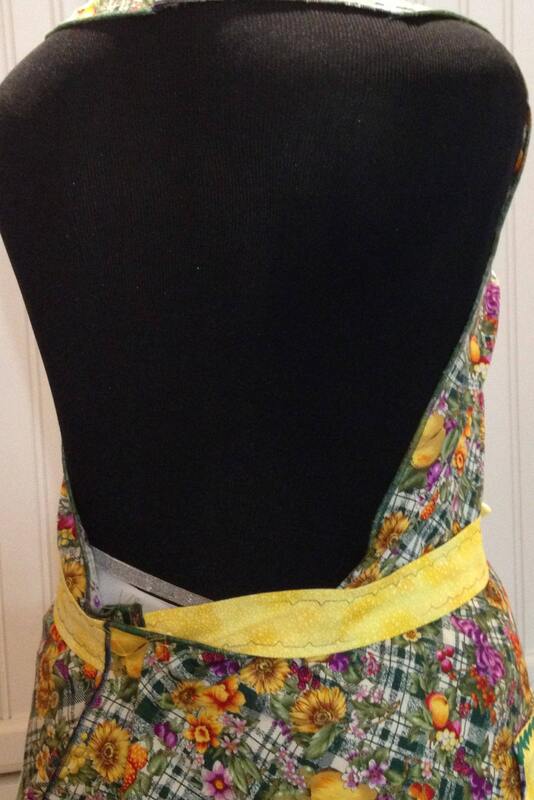 The two bright yellow pockets are trimmed with green ric rac. 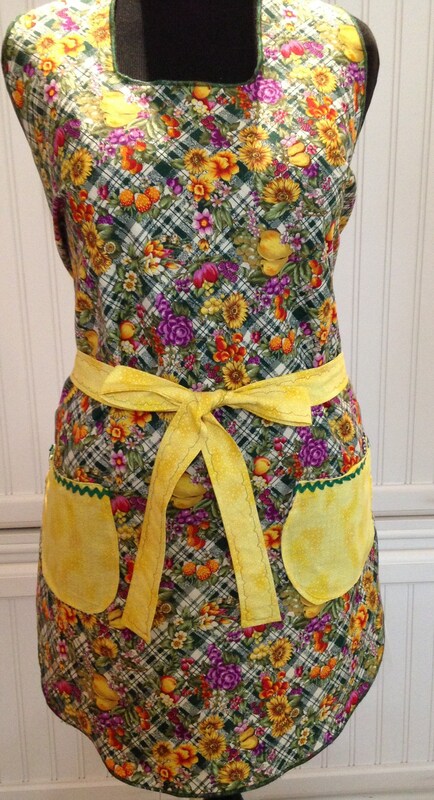 There are several of these aprons so buy one for yourself and another for a friend. The skirt is curved up and covers your backside. 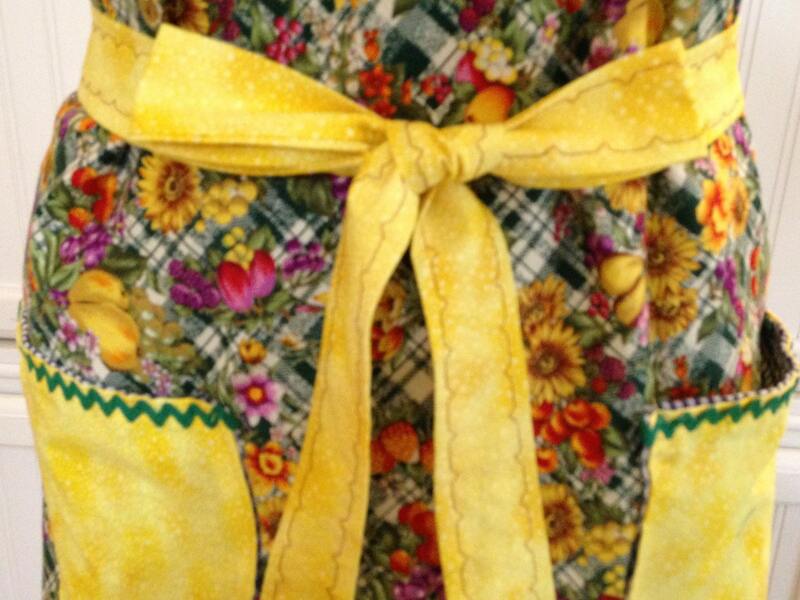 The yellow waist ties are long enough for a bow in back or front as pictured. 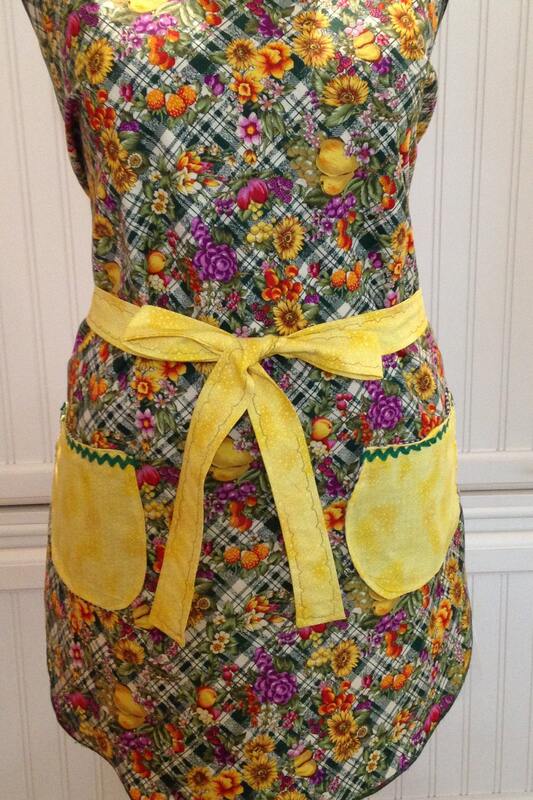 This apron can be worn beautifully by many shapes and sizes. It will fit petite to plus prettily. 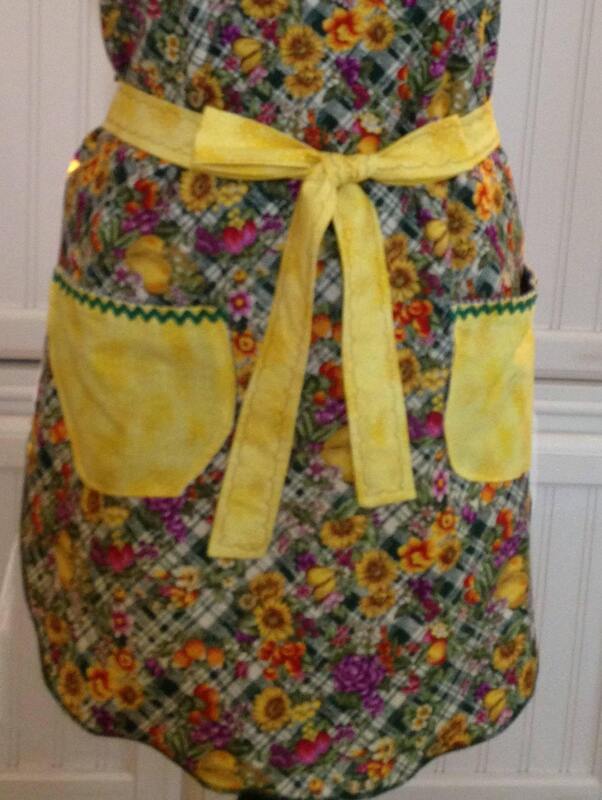 The materials used for this apron are all a pre-washed cotton. All seams have a serged rolled hem for longevity. 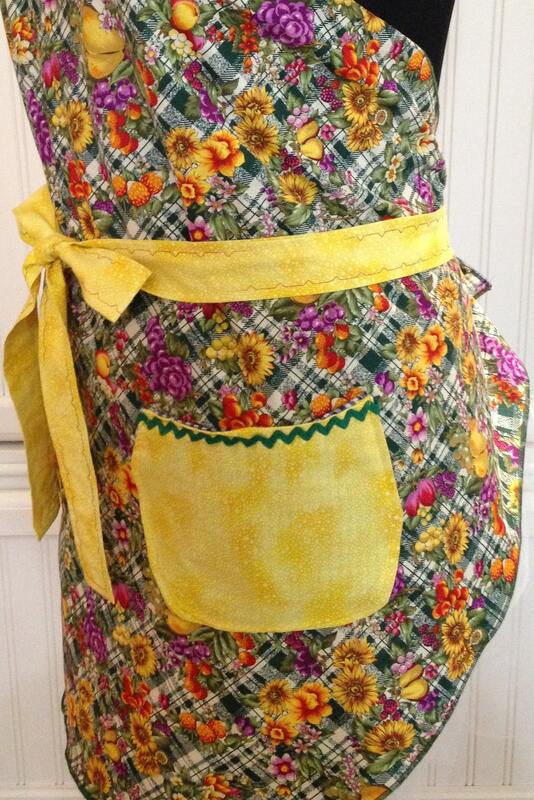 Think of this apron as a family heirloom in the making.